Do you like to play online bingo but also want to expand your online gaming experience by branching out to other online games? Then you’re in luck online gamers, because we’ve rounded up some of the most popular online games currently setting the Internet abuzz – and we’re going to share our top picks with you. Not only can you play bingo online at a multitude of web sites like the popular onlinebingo.com, but there are literally hundreds of online gaming sites that feature a bevy of other blood-pumping online games that are sure to please. Today’s online bingo is played the exact the same way that ‘traditional’ bingo is played – but with a lot more twists and turns than the game your grandma used to play. 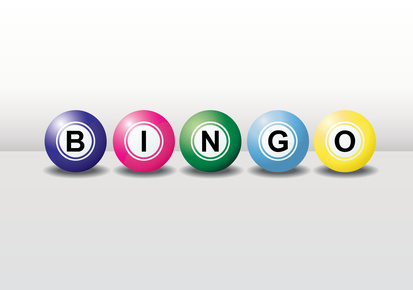 Now, people that like to play online bingo can play several different types of bingo with a lot more variations. From 90-ball bingo to 75-ball bingo, the ability to play online has given the age-old game a brand new fresh start. In addition to playing online bingo, online gamers can also play a host of other casino games that are mostly free. From Keno and video poker to slots and blackjack, gamers that like to play online bingo will be up their eyeballs in online casino games. Now, when it comes to the different kinds of online bingo games there are to play, gamers can play for free or join a bingo room with a specific dollar figure such as a $1 dollar high roller room, a 25¢ quarter room or even a 10¢ dime room. In the U.S. players mostly play 75-Ball Bingo where players play one or more cards with 25 squares all arranged on a 5×5 grid while players in the UK and other countries mostly play 90-ball bingo with the only difference being the cards themselves. 90-Ball Bingo cards have nine vertical columns and three rows and not every square contains a number. Only five numbers are printed in each row and there is not a free space like on a 75-ball bingo card that U.S. players have come to know and love. Of course, online bingo has a multitude of different patterns that never existed years ago, such as ‘Cross, Diamond, Four Corners or Eight States’. Players must complete the desired pattern in order to win. Now, let’s move on to some other exciting online games that online bingo players may be interested in. Over at popular gaming web sites like pogo or shockwave, online gamers can play solitaire, spades, gin, free cell, pinochle, or bridge. If it’s ‘old-school’ classics or board games you like, then you’ll be pleased to know that family favorites like Connect 4, Yahtzee, Scrabble and Monopoly await you at these very same web sites. Now, if it’s role playing games (RPG) or Apple apps that you are after, then you might want to try one of the newer games out like 2029 Online, Quantum Legacy or Sherwood Dungeon. No matter which realm of online games you prefer, you’re guaranteed to find something that interests you with today’s increasingly swift technology producing excellent online games on a daily basis.